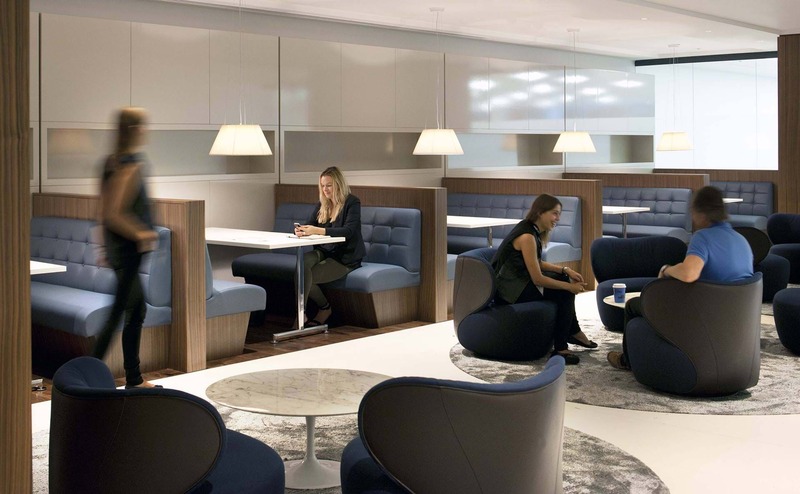 We were briefed to help consolidate 640 employees for this International insurance giant from three separate London offices into the Walbrook Building. Arthur J Gallagher leased 98,000 sq ft of space in the basement, ground, 1st and 7th floor. Our design focuses upon the two oculus-shaped atria spaces and plays upon maximising light and views, and planning efficient spaces which radiate out from the oculus shapes. The ground floor consists of the main reception, a variety of meeting rooms and a brokers’ lounge, where brokers and underwriters can meet in a relaxed and informal setting. Two open plan zones adjacent to the windows provide desks for two business units. 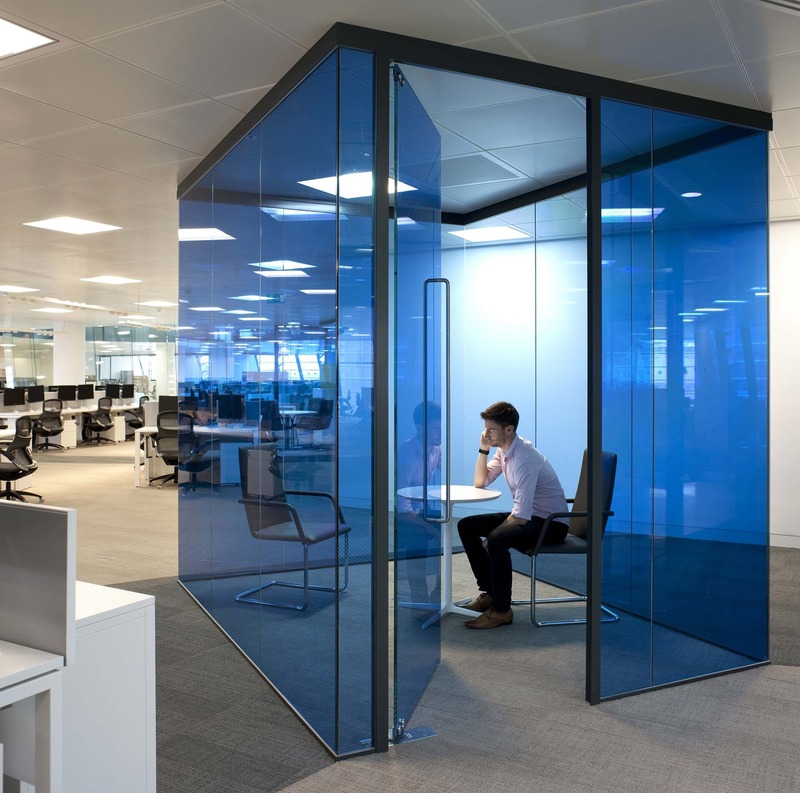 The 7th floor comprises the client meeting and fine dining suite which incorporates switchable glass walls, allowing the rooms to be obscured and confidential at the flick of a switch. Other areas include offices and general open plan workstations, interspersed with glazed screens, graphics and staff breakout areas. The feature of the ground floor is a special sloped, faceted, glass oculus meeting room which appears to drop the atrium through the building, however the atrium stops at the 2nd floor. The oculus room is separated by an electronic skyfold wall that opens from its ceiling housing, allowing the space to be reconfigured in a very short space of time.